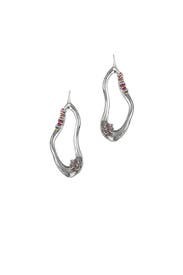 Stitched edges line these special, yet versatile hoops made from Liquid Rhodium and Pink Corundum by Alexis Bittar. 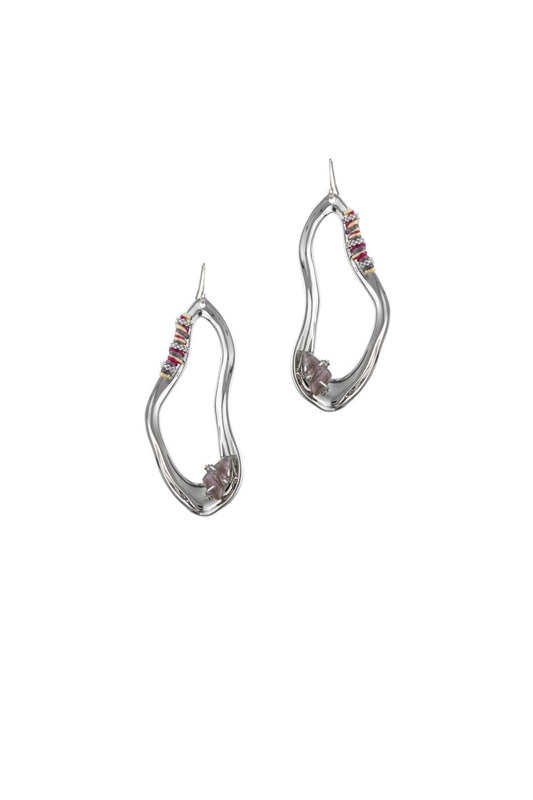 Rhodium plated liquid hoop earrings with multicolored stitched edges. Earwire for pierced ears. 2.6" long.